Jane Ann Simon is the owner of Jane Ann Designs, Charlotte, NC. A 20+ year veteran of the design community. Simon is an award winning designer with Best of Design for Houzz.com for 2012, 2014, 2015, 2016 and 2017. 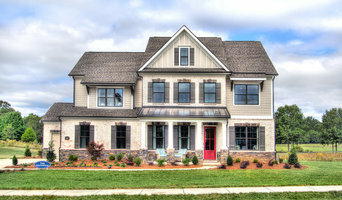 She also won Best Design Center and Experience with Charlotte Home Builder's Association MAME awards as well. Her work has been downloaded over 25000 times. She offers full service interior design, model home merchandising, and staging for Real Estate listings. 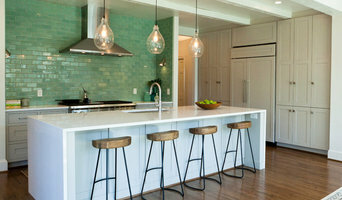 Houzz.com also features Jane Ann's work through the years with her most recent projects from her tenure as the Director of Design for Traton Homes and McSpadden homes.. These interiors showcase her understanding of interior design from blueprints to the final accessory. Jane Ann Designs is a new name for a business that is based on years of quality work and a broad background in all aspects of residential interior design. Since 1999, Cabinets by Design has been proudly serving clients in the Charlotte area, as well as, the mountains and coasts of the Carolinas. Whether you need expert design services, simply wish to purchase one of our products, or require complete assistance from design to installation, we can help you accomplish that special look for your home. Our staff has over seventy-five years of combined kitchen and bath experience and is trained to compliment the work of Architects, Interior Designers, Contractors and Builders. Flourished Living by Francesca Levings is a dynamic Organizing, Downsizing, Remodeling & Design boutique firm that leads with the idea that an organized life is a simpler, happier life. Once your home is comfortable and in order, you can focus on more import life events. Whether we are addressing 20 square feet, or the entire home, our services begin with careful organizing and editing, and often progress to state-of-the-art remodeling, décor and personalized design. Flourish also often assists with paring down estates, preparing and transforming older homes for the Real Estate market, making sure houses look sleek and contemporary, so that they will sell for top dollar, in minimal days on the market. We also guide the next generation in the selection of what they should keep from the family home, how to incorporate it into their own design, and how to sell the remaining personal property for a profit. Hiring Flourish can be the most inspiring, peaceful, and beneficial transformation you and your family will ever experience. Our philosophy is centered on curating what is best within your home, and within your lifestyle, to introduce you to a refined, refreshed home. During my uprising, I found my place in producing art of all types. Having spent almost a decade in fine arts, I decided to branch out into Interior Design and Architectural drafting my last two years of high school and to eventually pursue it in college. Interior design was never at the forefront when choosing what I wanted to be when I grew up. However, aside from rearranging my room constantly, my mom always told me I had a knack for interior design and I never failed to give my input on her home. I now hold a certificate in Architectural Technology and an Associate’s Degree in Interior Design from Central Piedmont Community College, and I've never felt more confident that I'm pursuing a career I'm entirely passionate about. With the knowledge gained through experience in high end consignment furniture, retail, and through my rigorous studies, I feel I have the capability of successfully listening to the needs of clients and collaborating on a creative vision. I bring to the table a youthful, yet collected and textural style while remaining comfortable and functional – an idea I wish to incorporate into my clients’ homes. Ultimately, my goal as an interior designer is an equal collaboration between myself and the client to find the style that best suites their aesthetic and is tailored to their lifestyle. I work exclusively with Ethan Allen and can help with the overall design of any space, including space planning, furniture and fabric selections, accessory selection and placement, etc. I can as well assist in design with any individual part of a room such as selection of lighting, paint, custom window and wall treatments, incorporating new furniture with existing pieces, etc. Ethan Allen offers a large amount of fabrics and finishes to match a vast array of furniture and accessories, which allows endless options for customization. I can achieve any look or style you're after, whether it's modern farmhouse, french country, global glam, urban industrial, traditional, or something that is totally your own because I enjoy creating a space that is a perfect reflection of YOU! We are residential practice dedicated to helping our clients create a home that embraces their life. Our staff of four architects, one technician and one office manager are set up to help make our client's dream of a new or remodeled home a reality. The client describes a multi course meal with all it's ingredients and even the atmosphere. Many conversations happen between the design team and client where the goals and objectives of the project are laid out. As the recipe develops, it is revised and edited many times until the client and team are ready to send it to the building community. The fun part about this type of planning process is that we get to taste, tweak and edit the recipe to perfection. When the home building team is finished, your dream has become reality. Ask Amy Interior Design is a "Best of Houzz 2014, 2015, & 2016" interior design firm based out of Charlotte NC, owned by Amy Alexander an Allied ASID Interior Designer/Interior Decorator. We provide residential & commercial interior design services and believe that spaces should reflect our client's lifestyles & personalities and function in ways to support them. Ask Amy can transform your living spaces into timeless environments that provide a sense of balance & style. We are committed to providing high levels of "one on one" personal service and attention to details in order to create the perfect environment for our client's budget needs and changing lifestyles. Focal Point Interiors offers full service interior design and home stager, differentiating from other interior designers by the value it offers in quality, sought-after products and service not found through other designers or store choices. We pride ourselves with client follow-through and strive to make it and impeccable experience. Focal Point Interiors specializes in all phases of interior design whether the project is new construction or remodeling, room-by-room decorating, or one time consultation we offer a competitive edge with quality and satisfaction. Established in 1996, Kelly Cruz Interiors, Inc. is a full service design firm located in the Charlotte, North Caroina metropolitan area. Our talents have been employed in homes, hotels, restaurants, and professional offices around the United States and the Carribean. Our goal is to create interiors as individual as each client, but our specialty is promoting the lifestyle they desire. I can assist you with selections of accessories, fabrics, furniture and rugs. Building a new home? I can help with the selection of fixtures, paint colors, flooring, tile, countertops and appliances. Also help freshen up your current home by changing the paint colors, rearranging furniture and accessories in order to give it a new flow and feel. If you are listing your house, staging is very important. I can help you prepare your home before you list it. Crowe Design & Associates is a professional residential design firm serving Lake Norman, Charlotte and surrounding areas of North Carolina. We specialize in custom home designs for individuals and building contractors alike. Our scope of services range from remodel or additions of existing structures to lot-specific custom home designs in gated communities.Our attention to detail and to our clients’ desires leads to a well-crafted home, each uniquely suited to the client, the budget and the site. Our reputation for honesty, integrity and professionalism is of the the up most importance to us, and is a constant effort in our practice on a daily basis. This is why we go out of our way to see that your expectations are met every step of the way. We look forward to the opportunity of making your dreams and visions a reality in the space you call home. As a team of creative problem solvers and building scientists, we offer our clients a unique and holistic experience to bring their project to life from conceptual idea to construction. We take pride in listening to and engaging our clients in a way that is honest and shows our love for designing and creating spaces for future generations to enjoy. Call McMillan Design Build: We can Design and Build for you a unique and innovative architectural projects no matter the size or complexity. Focus is on Energy Efficiency, Building Sciences, Aging In Place, Universal Design, 3rd Party Certification Programs, Architectural designs all to suit the Client and future owners for generations.